What I was thinking when I bought a 10 pound case of frozen blackberries? Nevertheless, they are taking up valuable real estate in our itsy-bitsy freezer. 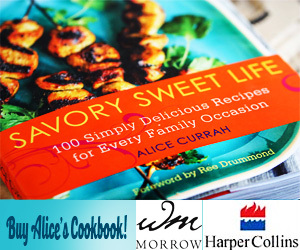 So don’t be surprised if you see an excessive amount of blackberry recipes on Savory Sweet Life coming to the world wide web soon. On the other hand, if you love blackberries (like I do) then you’re in for a real treat. 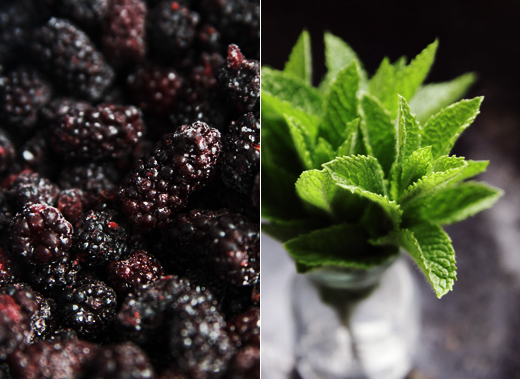 Inspired by the gorgeous Seattle (hot) weather yesterday, an abundance of blackberries, and a thriving patch of mint growing just outside my front door, what I have for you today is an awesome recipe for Blackberry Mint Lemonade. 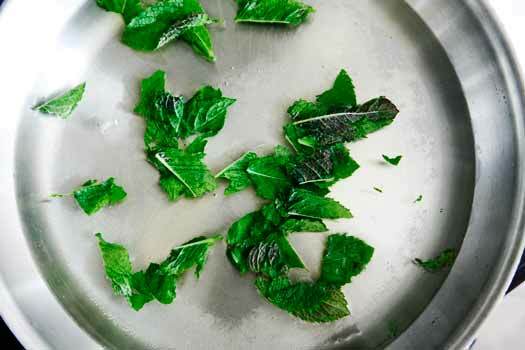 Using a good quality store-bought lemonade, I made a simple syrup made of water, sugar, and torn mint leaves. 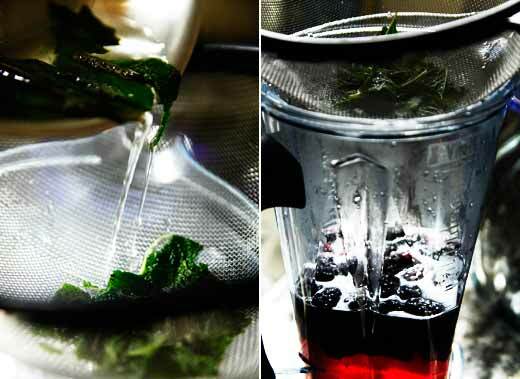 I added two cups of frozen blackberries (feel free to use fresh if you have them) to my blender and poured the simple syrup over them using a strainer to catch the mint. 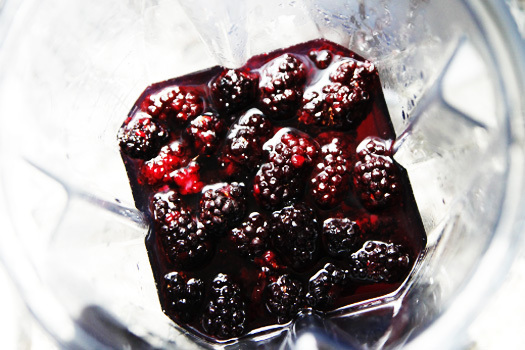 I blended the mixture ever so gently, being careful to not puree the blackberries but to break them up just enough so little bits of fruit could fit through a drinking straw. 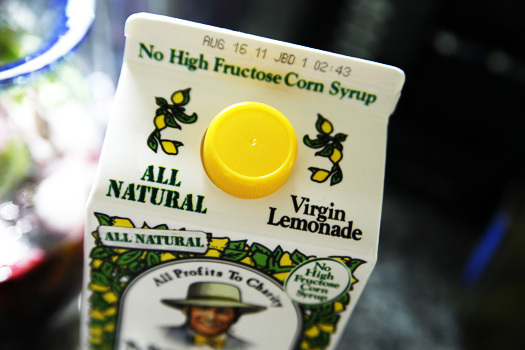 Can I just say how refreshing and awesome this drink is on a hot day? Imagine all the different ways to adapt this recipe . For instance, you could cut the lemonade with sparkling water. Or, you could easily add a shot of rum or vodka for a nice summer cocktail. Oh the possibilities! 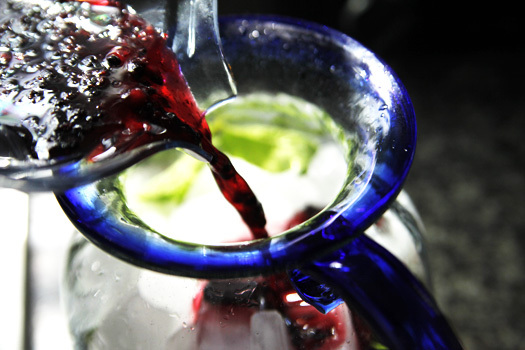 A refreshing blackberry lemonade infused with mint. I wanna try to make it soon. For blackberry substitution, I have cherry compote in the fridge. Wild berries tastes cannot be compared with them from the market. 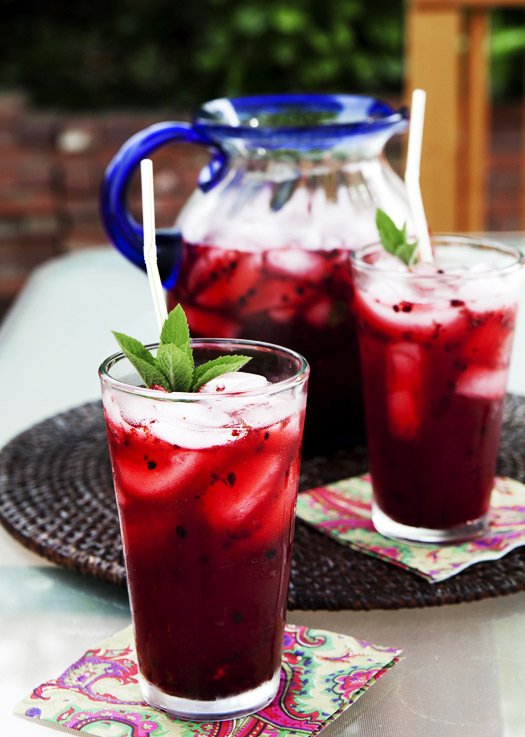 Love the blackberry mint lemonade recipe! The wild berries are peaking this week in the snoqualmie valley. Thanks for sharing this recipe! Congrats on your new home. Glad the blackberry lemonade was a hit! *Loved* this recipe! Made it for a baby shower and everyone raved about it. The leftovers were made into a great summer cocktail by adding some vodka to taste- refreshing and delicious! not only is this recipe delicious, but its so beautiful! what a great way to use fresh herbs from the garden, i’m always looking for new ways to incorporate them. 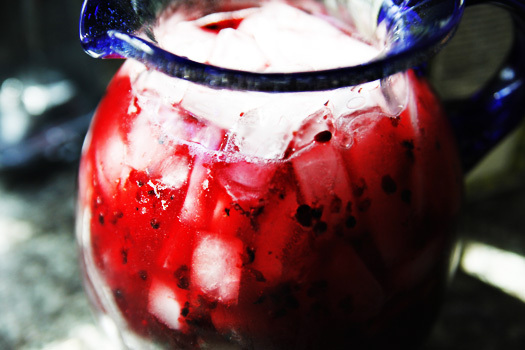 I need a cold glass of this – refreshing! So funny…I did the same thing myself about a month ago and I made jam, pie, margaritas, and just about anything else that I could with the berries! I’m definitely going to try this one! Made this for Father’s Day and it was a big hit! Thanks everyone for your sweet comments. Made this again tonight with a little shot of vodka. I highly recommend! Rocky Mountain Woman: You always crack me up! I think we would make great neighbors.